← What is an Aptitude Test? 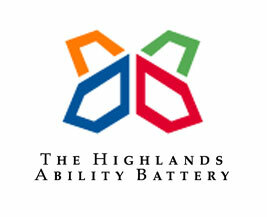 The The Highlands Ability Battery groups aptitudes into the following four categories. Each category contains several aptitudes in which you may test strongly, weakly, or moderately. Personal style: “This section shows your results in three scales which interpret the frame of reference from which you approach your work: the Generalist/Specialist scale, the Introvert/Extrovert scale, and Time Frame scale.” You might think of these in as similar to the Meyers-Briggs, in which your personality affects the way you structure problems, make decisions, and generate energy. Driving abilities: “The Driving Abilities are very powerful and influence almost every part of our work lives. This is true whatever an individual’s results. Each one of these abilities asserts itself in our lives. It is absolutely critical to take them into account when considering what role you should play at work.” The use of driving abilities is linked to career happiness. This has been a brief overview of the components of The Highlands Ability Battery. If you have more questions, check out more blogs about aptitudes and Aptitude Tests. If you are not convinced about the power of knowing your aptitudes, learn more about why aptitudes make you happy!